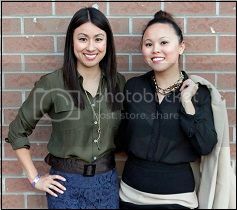 The Hip & Urban Girl's Guide: Activity-A-Week: Go Barreworks! We spent last Tuesday night checking out the newest and most unique edition to the Queen West bar scene: BarreWorks Toronto. 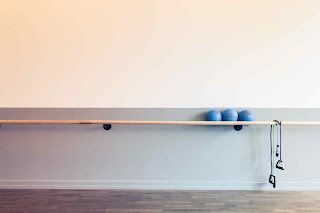 Just east of the hustle and bustle of Queen and Bathurst, the brand new BarreWorks fitness studio boasts three bright and spacious classrooms for barre-based workouts that blend fitness training, core conditioning, yoga and pilates into an upbeat exercise routine. 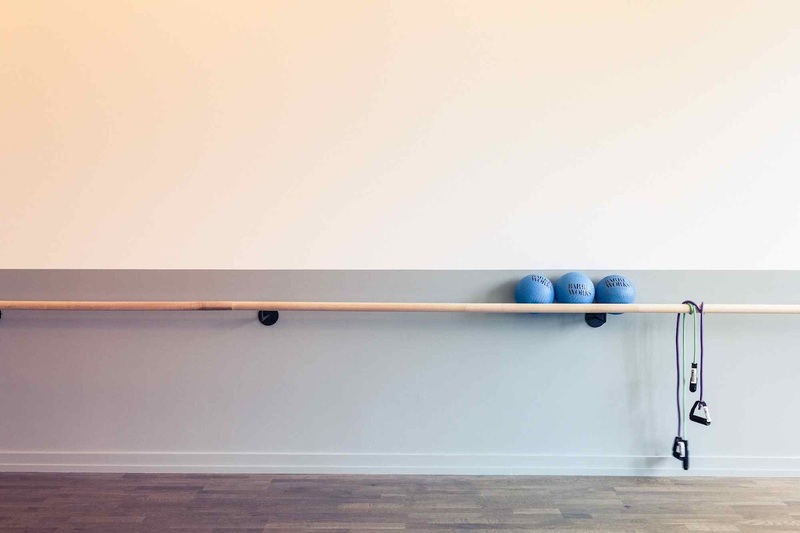 Barre-based workouts have been all the rage in New York and Los Angeles for some time, and the BarreWorks exercise system was created by a team of certified fitness and yoga instructors and dance professionals to offer workouts that develop long and lean muscles. We tried the BarreWorks Mixed Level 60-minute class that involved a mat, resistance band, the barre itself and our choice of 1, 2 or 3 lb weighted balls. As we found a spot at the barre and the house music started blaring we were all, “this doesn’t look bad at all, we’ll hardly break a sweat!” Ten minutes later our hearts were pumping, the sweat was dripping and our legs were feeling the burn. For the next hour we did our best to keep up with the combination of dance, yoga, pilates and fitness moves as we lunged, squatted, curled, lifted, crunched, planked and piled. Our instructor Paulina’s energy, encouragement and enviably toned body kept us moving for the entire class, even through the moments we wished we would have chosen to spend our Tuesday night eating popcorn at the movies. At the end we caught our breath and were rewarded with deep stretches at the barre and on the mat, and our bodies felt strong and energized. The class was an excellent mix of all the workout methods that target arms, abs and legs for that coveted toned and sculpted look, and the variation of techniques and movements kept our interest level high and our bodies challenged. Walking down the three flights of stairs back to the street was not an easy feat, and we’re still feeling the effects of our class in the best way possible. We’re already looking forward to getting back to the barre and trying out the SpinBarre and YogaBarre classes. First time studio visitors can try their first class for $10. Monthly memberships start at $199 for unlimited classes, while drop-in classes are $21 and packages start at $95 for five classes.